The interview is usually the first opportunity an agency has to meet you. Therefore, you want to make a good impression. Your goal is to convince them that you possess the qualities of a good police officer. Before you even enter the interview room, there are several things you will want to consider in preparation for the interview. 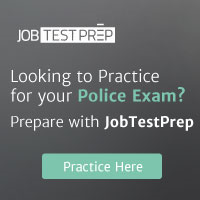 When applying for a law enforcement position there are usually several forms you have to complete. You will be required to mail some of these forms back to the agency. Other forms may be collected during the interview. Prior to the interview make sure you have accurately completed all of the paperwork. The interviewers will be reviewing the information you have listed. If there are uncompleted portions or you are missing certain forms, this makes you look bad. It may also disqualify you from proceeding any further in the application process. It looks better if you type all of the information. However, neatly printing with a pen is usually acceptable. Remember, the forms you have completed are a reflection of you. It gives the interviewers a little insight into your organizational abilities. In the days prior to the interview you should review the questions you believe you will be asked as well as your answers to those questions. The Boy Scouts motto of being prepared is very applicable. You do not want to go into the interview winging it. Everyone has a certain degree of nervousness when sitting in front of an interview panel. You want to look your best and sound your best. Avoid becoming tongue-tied by rehearsing your answers. It is a given that most interviewers will expect a man to wear a suit and tie, and a woman to wear a dress or a business suit to the interview. Most of the time, an interviewing panel is prohibited from disqualifying an applicant based on what he or she is wearing. However, if you walk into an interview wearing a pair of blue jeans and a tee shirt, they will find some other reason to write you out. You may look good wearing nice casual slacks, but you will look even better to the panel if you wear business attire. You want to project a professional image. As you enter the interviewing room, greet everyone with a firm handshake. Look them in the eyes and smile as you greet them. Remember, you are applying for a law enforcement position. This is a field in which you have to deal with people. You want to show the panel that you are a confident person. Giving someone a weak handshake while looking away is a signal that this occupation is not for you. Your interview will be approximately 30 to 60 minutes in length. You will be questioned by a panel of three to five people. They will probably be seated on one side of a table. On the other side of the table will be your chair. If your chair is in close proximity to the table, you will be sitting at the table with the panel. In most cases, your chair will be approximately six to ten feet away from the table. In this set up, the interviewers want you to sit a short distance away from them. This allows them to see your entire body and observe your mannerism. This also prevents you from seeing any notes they may take. You should answer all of the questions truthfully. If you pass the interview, they will conduct a background investigation. If during their investigation, they discover that you were less than truthful about the smallest of things, you will be disqualified. You are applying for a position in which you have to uphold the law. Therefore, they are looking for integrity. Most people are a little nervous during a job interview. This is a normal response. To help you relax, pause before answering a question. Take just a brief moment to think about your answer before responding. This will help you to collect your thoughts. As you answer the questions, speak clearly and loudly. Oral communication is very important in law enforcement. One moment you may be chatting with the public, and the next moment you may be giving forceful verbal commands to a suspect. The panel is assessing your ability to communicate by what you say and how you say it. Speaking in a low tone of voice is not what they want to hear. Meek and mild are not the traits of a good police officer. You only get one chance to make a first impression. So, make a good one. The panel will be writing throughout the interview. Do not let this bother you. Just because they are writing something down does not mean it is a negative comment. They may be noting your good qualities. They may simply be going through a checklist. You should be more concerned if they do not take any notes. They should not ask you any questions concerning the law or their specific policies and procedures. You will be taught all of that at their training academy. They will usually begin the interview by verifying the information you provided to them. They will then begin to probe into your past to find out who you are. Lastly, they may ask you some hypothetical questions to judge your reasoning abilities. Click on the links below to review some verifying, probing and hypothetical questions.